Helps reinforce hair against styling damage along each strand. Air-light conditioning and nourishment, without the weight. For silky soft and free-flowing hair. 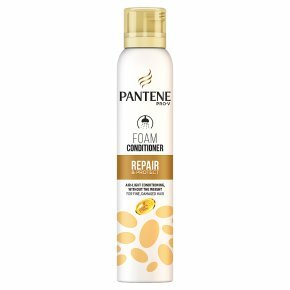 For fine and damaged hair.Pantene Pro-V Repair & Protect air-light foam conditioner gives fine and damaged hair all the conditioning and nourishment it needs, without weighing it down. Your hair is left easy to detangle, silky soft and free-flowing. The air-light foamy texture is absorbed deep into the hair and moisturizes it from the inside out ? without leaving unwanted residue on the outside that could weigh down fine hair. For best results, use with Pantene Pro-V Repair & Protect shampoo.